Captain Ian McNaught, 25420, (Class of 2012) graduated with a BA in Military Strategic Studies. After spending his first year at RMC Saint-Jean in Tracy squadron, McNaught came to RMCC where he spent his last three years in 9 squadron. In August 2016, he came back to RMC where he is currently the 3 squadron commander. He believes that he had an advantage coming back having previously been a cadet. He better knows what the cadets are going through compared to other staff that did not go through the military colleges. 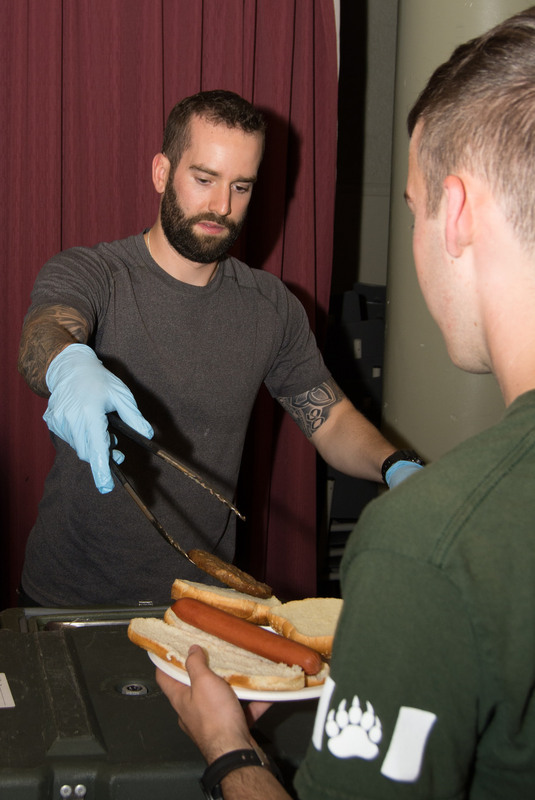 McNaught likes that there are no surprises when it comes to his job versus other military members who haven’t experienced this side of the CAF before. Enjoying his time at this posting, McNaught has attended all of the “fun events.” In his first year on the job he was able to attend the obstacle course, grad parade, the sunset ceremony, and more. McNaught, from Cobourg, ON which is only about a 90 min drive away, likes being back in Kingston. “Kingston is a great place. I have a pretty good job here at RMC.” A squadron commander posting typically only lasts 2-3 years, after which he will likely return to a unit as an Infantry Officer. Given the opportunity, however, he would love to come back to the college again one day. 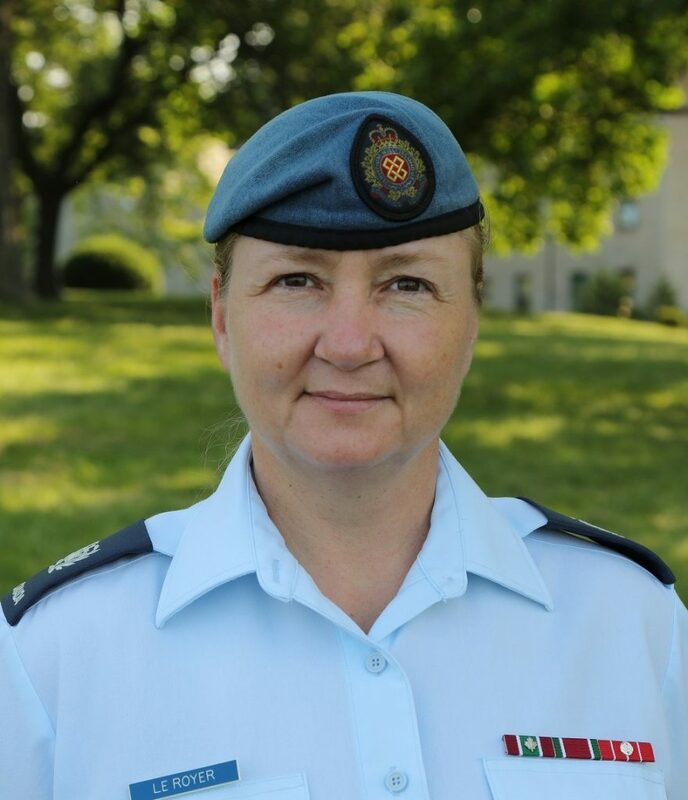 Warrant Officer Lisa Le Royer arrived at RMCC in the summer of 2014. The newly promoted MWO served in three positions while at the college. She started out as the ‘A’ Division WO for squadrons 1, 2, and 3. In 2015 she moved over to the ‘C’ Division WO for squadrons 7, 8, and 9. Her last position was as the Aboriginal Leadership Opportunity Year (ALOY) WO. MWO Le Royer took over the position from MWO Brian Highfield in March of 2016. Le Royer will be leaving RMCC to return to her trade in Finance with a posting to CFB Greenwood, Nova Scotia in August. Reflecting upon her time at the college the highly respected Non Commissioned Member, noted that her coming to RMCC was the first time she had worked out of trade and moved into an organization that is very unique. At the time of her arrival, the 141 year old institution was just starting to have NCM’s return to the squadrons. Her goal as a Div. WO, was to help cadets understand and execute leading by example, the well-being of your troops is paramount, and to utilise the experience of your NCMs. She carried these same goals with her as she embraced a new opportunity. With only a few months remaining in the 2015-16 ALOY school year, the very competent Le Royer took over the position of ALOY WO. She embraced the move and the results were outstanding. 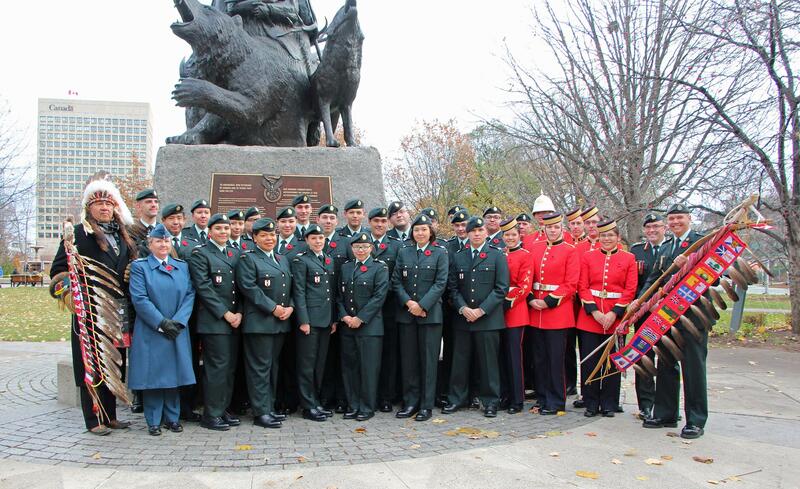 ALOY students, officer cadets, and staff standing proudly in front of the National Aboriginal Veterans Monument in Ottawa, that commemorates the contributions of all Aboriginal peoples in war and peacekeeping operations from World War I to the present. MWO Le Royer is grateful for the opportunities RMCC has presented for her. Moving forward with her career, she plans to continue being active with supporting and promoting diversity within the Canadian Armed Forces. She is currently in a ‘hand-over’ with her replacement, WO Robert Ives doing all she can in making sure that the transition is smooth. As a former ALOY student, I’m well aware of the many great things Lisa Le Royer did on behalf of that program. I wish her the very best as she moves forward in her career.